The Victoria, Minnesota, water treatment facility needed a new pump to feed sodium hypochlorite under high pressure into the post-chlorination cycle of their water treatment process. Their previous diaphragm metering pump had serious issues with off-gassing, resulting in vapor locking that shut down the pump. After replacing the diaphragm pump with new peristaltic metering pump technology specifically designed for high pressure applications, they have significantly reduced downtime. At the same time, the pump’s fluid recovery features means they can avoid any potential chemical spills when changing out the line. The City of Victoria, Minnesota, population around 8,800, is located in Carver County, about thirty minutes outside Minneapolis. The city provides residents with drinking water from three groundwater wells. About a decade ago, they built a water treatment facility to treat iron and manganese present in the water. They use several chemicals in the water filtration, clarification, and distribution process, including fluoride, sodium hypochlorite, polyphosphate, and sodium permanganate. The diaphragm pump used to meter sodium hypochlorite at the post-chlorination stage was experiencing severe issues related to off-gassing. 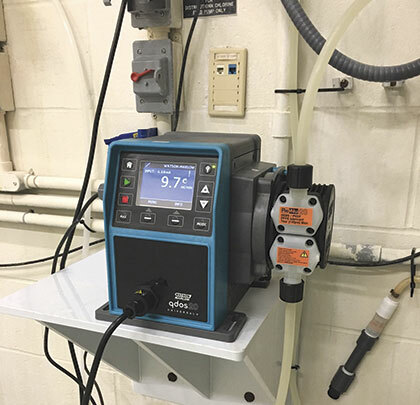 This is a common problem with diaphragm pumps metering sodium hypochlorite, according to Clark Corbett, sales engineer for Vessco, Inc., the city’s chemical feed equipment supplier. Vessco represents sixty different companies in the water and wastewater industry, and is headquartered just a few minutes’ drive from Victoria. “Their original diaphragm pump was losing prime, off-gassing to the point that bubbles were getting into the diaphragm and vapor locking it so the pump stopped working,” Corbett notes. According to Corbett, there were very limited options that could deal with the application, which runs at relatively low flows (2-3 gallons per hour) but very high pressures (90-95 pounds per square inch (psi) on discharge). He pointed the water treatment works to a brand new technology, the Qdos 20 peristaltic metering pump made by Watson-Marlow Fluid Technology Group. Victoria ran the Qdos 20 trial model for more than a year—only replacing the ReNu pumphead once in that time. Running at between 70 and 100 psi and controlled by a 4-20mA input signal, the Qdos 20 pump significantly reduced maintenance downtime. They are currently in the process of replacing the trial model with a production unit. The new pump has been designed to optimize its performance life for sodium hypochlorite applications up to 100 psi at flow rates from 0.001-5.3 gallons per hour (gph). The pumphead provides accurate, linear and repeatable low pulse flow under varying process conditions. Process uptime is maximized with no gas-locking, no valve blocking, and rapid no-tools pumphead replacement. Flow control is 5330:1 with ±1 percent accuracy. The pump offers manual, analog or contact mode functionality and has an intuitive display. Its high suction lift ensures self-priming. Watson-Marlow’s Chris Miller agrees. He notes that the sodium hypochlorite used for this water treatment application is extremely corrosive; the fumes will corrode anything but plastic. With the Qdos 20, any leak is contained. 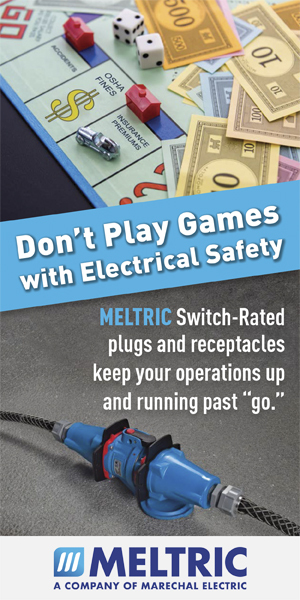 There is no dripping, leaking, or splashing that might get into operators’ eyes. A built-in leak detector shuts off the pump to protect it in the event of any type of failure. Watson-Marlow Fluid Technology Group (WMFTG) is the world leader in niche peristaltic and sinusoidal pumps and associated fluid path technologies. 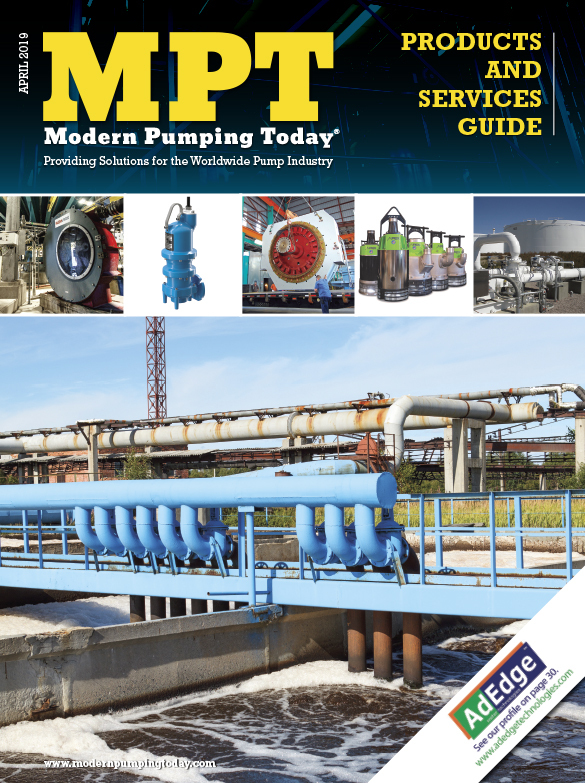 Founded on nearly sixty years of supplying engineering and process expertise and with over one million pumps installed worldwide, our pumps are tried, tested, and proven to deliver. For more information, visit www.wmftg.com.